LINCOLN SQUARE — Artango Bar & Steakhouse may have only opened a week ago, but the walls of Lincoln Square's newest restaurant already have stories to tell. Husband-and-wife co-owners Maria Alferov and Sebastian Casanova designed the space, at 4767 N. Lincoln Ave., to evoke the elegant atmosphere of Buenos Aires during the 1920s and '30s. Here's how they achieved the look and feel of a bygone era. 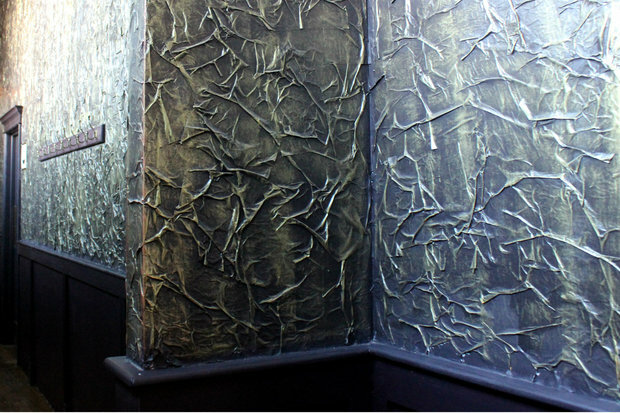 Artango's elaborately plastered walls are an optical illusion. On closer inspection, it appears the effect was created by wallpaper but Alferov divulged the truth: The walls are covered in magazine pages — she wouldn't name the title — which Casanova painted. 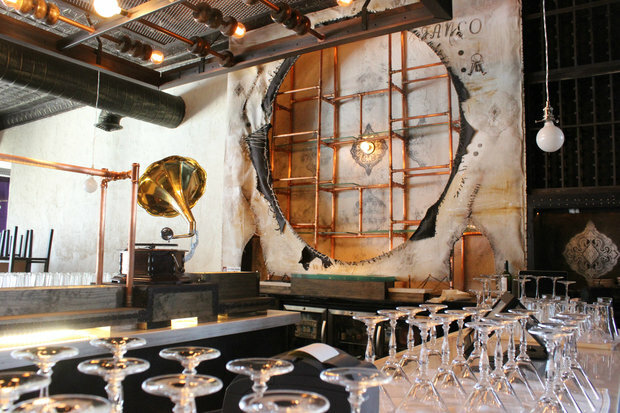 The focal point of Artango's bar was inspired by the gaucho, a national symbol in Casanova's native Argentina. He painted canvas to resemble cowhide as a tribute to the gaucho, horsemen and cowherds who loom large in South American folklore similar to the North American cowboy. 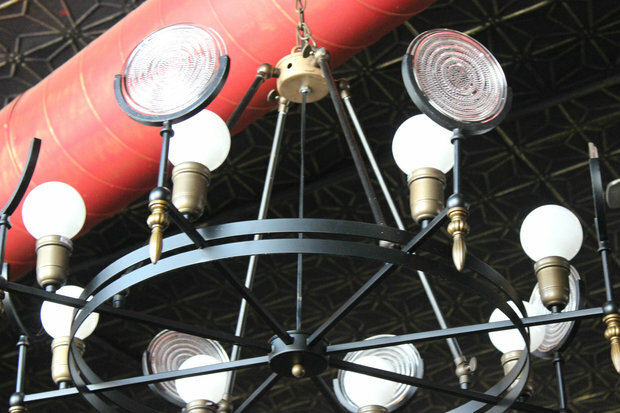 Allow us to illuminate the meaning behind Artango's lighting. The fixtures in the narrow hallway leading to the restaurant's bathroom mimic rail travel. 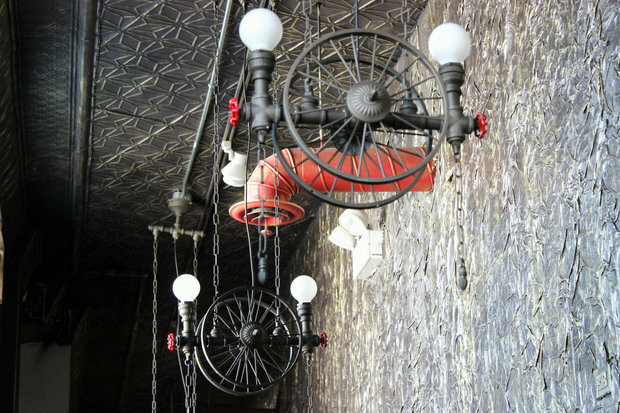 The chandeliers in the dining room are designed to resemble old time microphones from the golden age of radio. Alferov had no idea Casanova was an artist when the two began dating — until he presented her with this painting, which hangs in Artango's dining room. 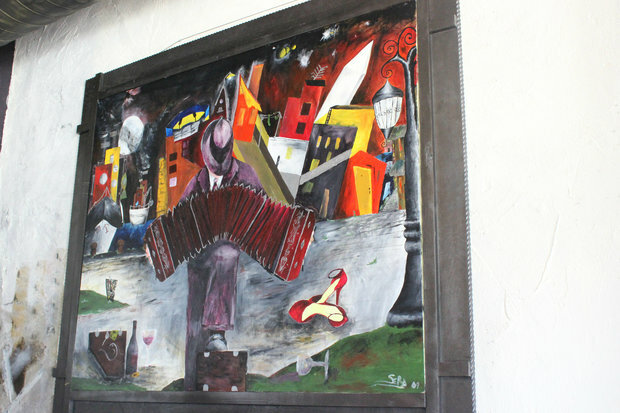 The scene depicts one of Alferov's favorite areas in Buenos Aires and the red heels are her dancing shoes. Prohibition sent cocktail culture underground in the U.S., but was a boon to Buenos Aires, where a number of American bartenders fled during the 1920s and '30s. 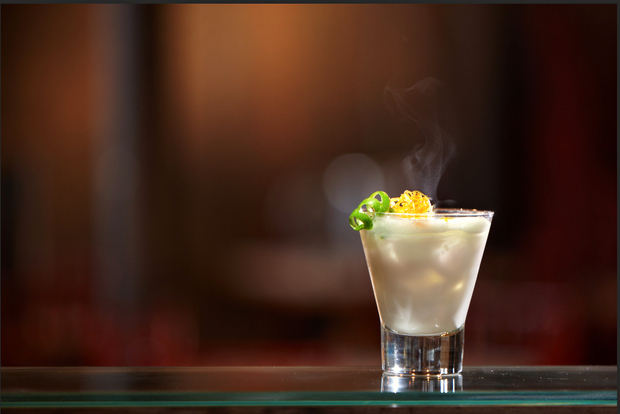 Artango's cocktail menu revives a number of classic drinks developed during that era, including the Monkey Gland and Daisy Cutter.